All of our flights launch from the same area in the South Park Valley. 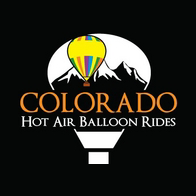 We have strategically located our balloon ride operations in this area so that we may conveniently service all of our guests from the Buena Vista/Canon City/Fairplay Region, the Breckenridge Region, the Denver/Front Range Region and the Colorado Springs Region from this one central location. The South Park Valley is a National Heritage Area perched 9,000-10,000 feet above sea level located in the geographic center of Colorado. Our beautiful mountain valley offers the ultimate topography for hot air ballooning with a mixture of vast rolling hills, 360 degree panoramic mountain views and native wildlife. The Buena Vista/Canon City/Fairplay Region featuring world class whitewater rafting, Mount Princeton Hot Springs, Cottonwood Hot Springs, fly fishing, zipline tours, jeep tours, helicopter tours, ghost towns, Royal Gorge Bridge, Royal Gorge Railway, the Leadville Railroad and the South Park City Museum is an ideal location for destination travelers to stay that are looking to combine these activities with the best hot air balloon rides in Colorado. Our balloon ride facilities are conveniently located only 40 minutes from Buena Vista, 1 hour and 15 minutes from Canon City and 25 minutes from Fairplay. 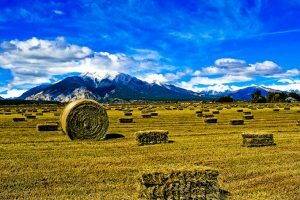 Our balloon rides make for the perfect day trip to explore the Central Rockies and to enjoy our wonderful world of hot air ballooning. Once you submit your reservation you will immediately receive an email with a separate confirmation attached to it. The attached confirmation will contain your meet time and directions specific to the Buena Vista/Canon City/Fairplay Region that you will be coming from on the morning of your flight. Please save this email and print your confirmation for future reference. If you do not receive this email immediately after you submit your reservation call our office at 888-468-9280.